When you're on the road or a trip, every bit of weight in your bag matters, as the average photographer or videographer carries lots of gear, and it all adds up. 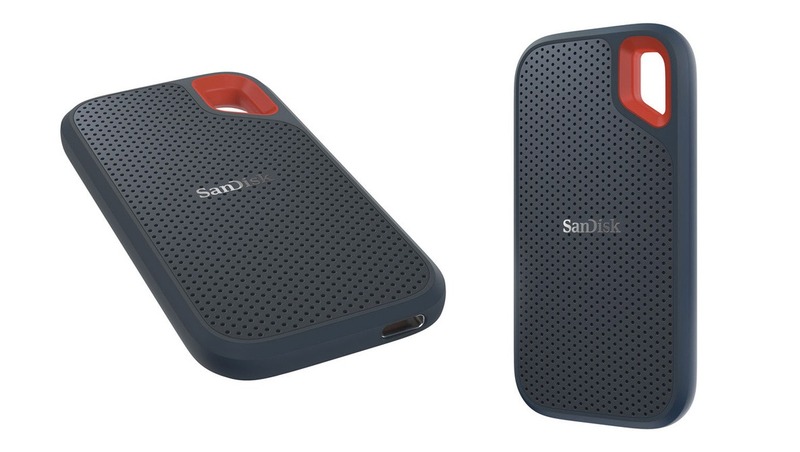 SanDisk's Extreme Portable SSD is about as tiny a hard drive as you'll see, but it packs quite a punch for its size. Check out our review! When I opened the box, my first thought was: "holy cow, this thing is tiny." Then, I removed it from the box, and my second thought was: "holy cow, this thing is light." There's really no exaggerating just how miniscule this drive is; it would make no appreciable difference in either the volume or weight of your travel setup, and for many, that's an important box to check. You could easily drop it in your pocket and forget that it was there. The back of the drive is covered in a black, rubbery, nonslip grip, while the front is an attractive, semi-perforated plastic. The orange accent in the upper loop looks nice, and altogether, the drive looks like a professional piece of equipment. In terms of its ruggedness, it had no trouble standing up to any everyday conditions I threw at it. Setup is easy: plug it in and go. If you'd like, you can install SanDisk's Secure Access software that offers password protection with 128-Bit AES encryption. If you don't have a USB Type-C port, SanDisk conveniently supplies a converter. 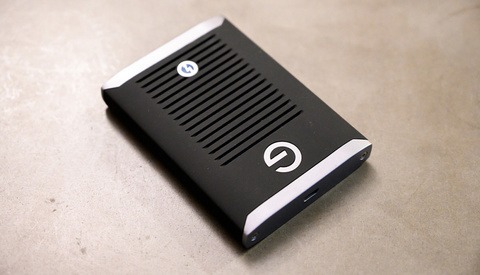 The drive's cable is very short at about 6 inches, but I actually prefer that for a device this small. It doesn't need a long cable so it can be tucked out of the way somewhere. When portability is the name of the game, I don't want that ruined by a clunky cable I have to wrap around itself several times to shove into my bag. 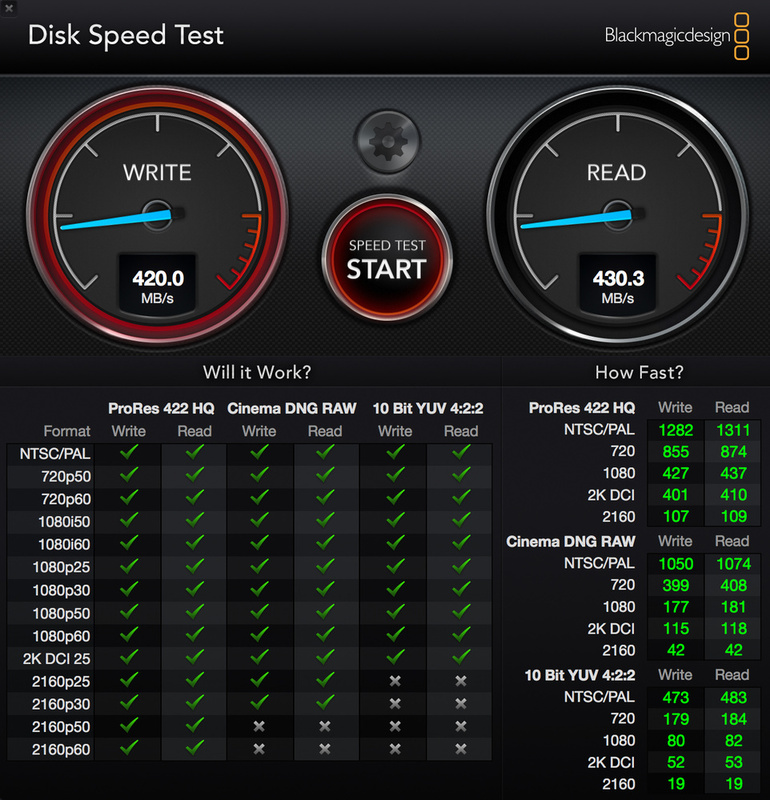 It's fast — really fast (this test was done with the adapter). As you can see, it has no problem with a 4K, 60 frames per second workflow. This means that those of you out there shooting travel videos and editing them on a MacBook Pro should have no problem, and in fact, with a lighter mirrorless camera and lens, you could have a complete kit that's light and fits in a single messenger bag. To further test the drive with a task I would normally throw at it, I took a folder of 300 raw images weighing in at 7.46 GB and transferred it to the drive. Doing so took 24.78 seconds for a speed of about 301 MB/s. Reading the folder back from the drive took 15.52 seconds for a speed of about 481 MB/s. What I particularly appreciated about the drive was its ability to sustain those speeds even with a larger folder. Typically (and much to my annoyance), I've found that portable drives will often hit their maximum rated speeds in the early stages of a transfer, only to quickly drop to much slower rates, but the SanDisk kept its speed throughout the process. That should be good news for anyone moving large folders full of lots of files. 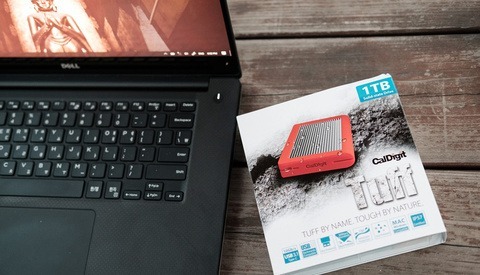 The SanDisk Extreme Portable SSD was clearly built for creatives who need a high-performance, rugged drive that doesn't take up much space or add much weight to their setup, and it succeeds in all those facets. It ranges in price from $99 for the 250 GB version to $549 for the 2 TB version. 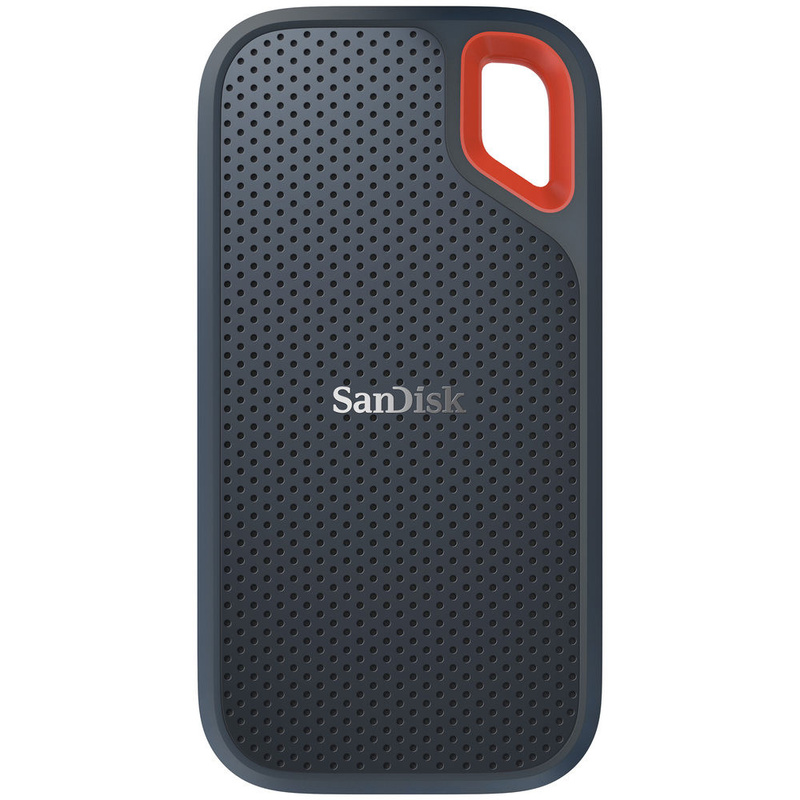 You can purchase all versions here: SanDisk Extreme Portable SSD. Looks like a great, fast performing option for moving files to various computers, etc. I didn’t know I needed one, but after winning one in one of your contests I’ve been using it quite a bit! Nothing, but positive comments to say about it so far. This will be ideal for my upcoming Iceland cycle photography tour circumnavigation! Our daughter recently circumnavigated Iceland. Not for the feint of heart. But, geeze, these prices! The 2TB version is over $500! 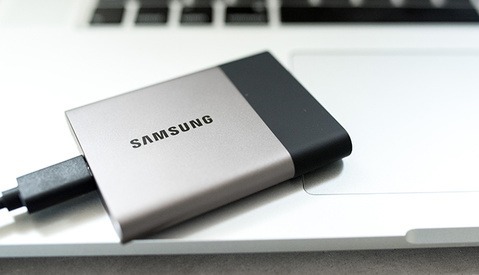 1) It’s a solid-state drive (SSD) vs a traditional rotating disk (HDD). Even the LaCie rugged drives still use HDD. 2) While the transfer speed is mentioned in the article the full USB spec is not explicitly stated, which is USB 3.1 Gen 2. The “Gen 2” part of that is important because it doubles the theoretical interface speed over USB 3.1 Gen 1 (which is the same as USB 3.0). That being said, you won’t get the full speed out of the Gen 2 interface here anyway because the bottleneck will likely be the SSD/controller. It would be really interesting to see this same drive with a 3.1 Gen 1 port for a side by side comparison. In theory, the Gen 1 port is still capable of faster speeds than the SSD itself, but it’s possible that after overhead is considered, the real world transfer rate leaves the Gen 1 port slightly slower than the SSD. I’d be curious what the actual return is for using the Gen 2 port here and paying more for it. Still, it looks like a great device. Price internal SSD's for your computer. Pretty close. 2TB drives were not reliable several years ago, but apparently the tech difficulties have been resolved. This is a lot more affordable than I expected haha. I'll be grabbing one of these soon. Honestly not as expensive as I'd imagined..
Would love a shot to show scale/size! A smidgen longer than a credit card and only about two thirds as wide. Wow, I 100% assumed this was the size of a cell phone. I purchased a USB-C to thunderbolt cord to attempt to use this in my thunderbolt slot on my computer. But it did not work has anyone else tried this option and gotten it to work?